It’s 1991 in West Belfast. With their husbands either locked up or killed, Marie, Cassie and Nora are just trying to get on with their lives, despite the bombs, burning buses and soldiers trampling the flower beds. Life must go on – after all, there’s still laundry to do and kids to feed. But when a mysterious young woman turns up on Marie’s doorstep and disrupts their girls’ night out, the devastating revelations which ensue will shatter dreams and threaten their friendship irrevocably. 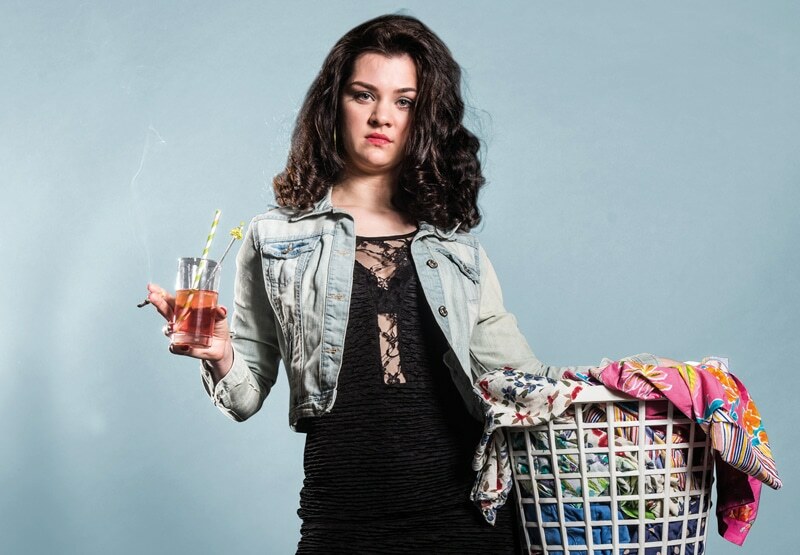 Sharply funny, moving, yet never shying from the harsh realities of life during The Troubles, the award-winning Bold Girls announced Rona Munro as one of the best playwrights of her generation in this celebration of women’s strength under siege. Theatre by the Lake has brought the magic of theatre and the excitement of the imagination to one of Britain’s loveliest and remotest counties. The theatre, hailed by The Independent as “the most beautifully located and friendly theatre in Britain”, opened in 1999. It is set a short stroll from Derwentwater on the edge of Keswick, amid the magnificent western fells of the Lake District. With two stages, a 400-seat Main House and 100-seat Studio; they present up to nine of their own productions of classic, modern and new plays throughout the year. Six plays are performed in repertory from May to November by a resident company of up to 14 actors. Theatre by the Lake aim to produce a new play every year and their Christmas plays have become firm favourites with family audiences. The Theatre aims for the highest standards of production and design and many Theatre by the Lake productions have won multi-star reviews from national and local critics. The theatre hosts a variety of festivals and visiting companies and is open for 52 weeks each year. We'd love to keep in touch and send you the latest news, events, competitions and offers from Another Place.